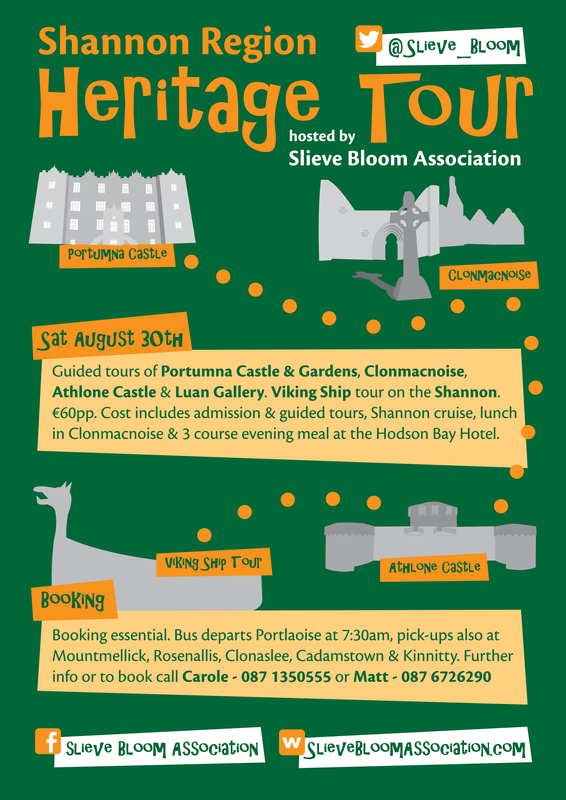 The Shannon Region Heritage Tour hosted by the Slieve Bloom Association will take place on Saturday, 30th August. This day trip heritage tour will include guided tours of Portumna Castle, Clonmacnoise, Athlone Castle, Luan Gallery and a Viking Ship Tour of the River Shannon. Bus departs Portlaoise at 7:30am with further pick-up points at Mountmellick, Rosenallis, Clonaslee, Cadamstown and Kinnitty. Members and non members, young and old are invited to join. The heritage tour coincides with National Heritage Week which makes it an ideal opportunity to visit places you might not have been. 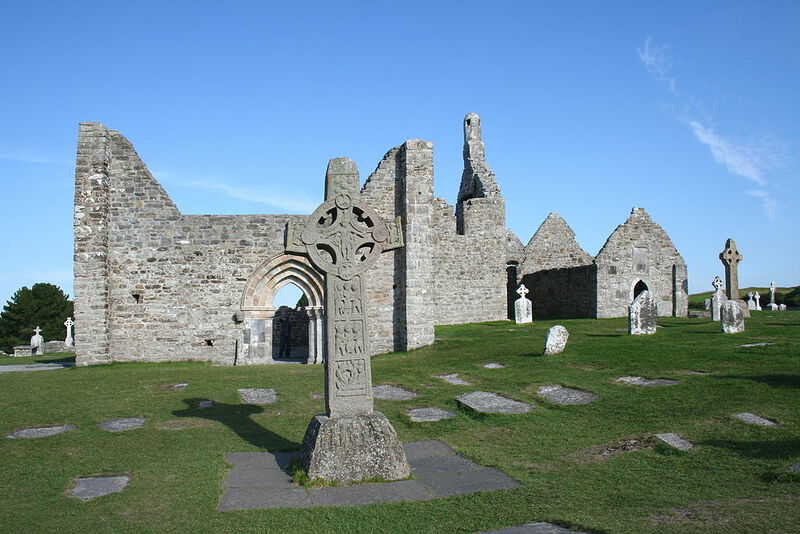 The total cost for the heritage tour is €60 and includes guided tours at all locations, lunch at Clonmacnoise and a three course evening meal at the Hodson Bay Hotel. For further information and to book your place on this great heritage tour call Carole on 087 1350555 or Matt on 087 6726290. 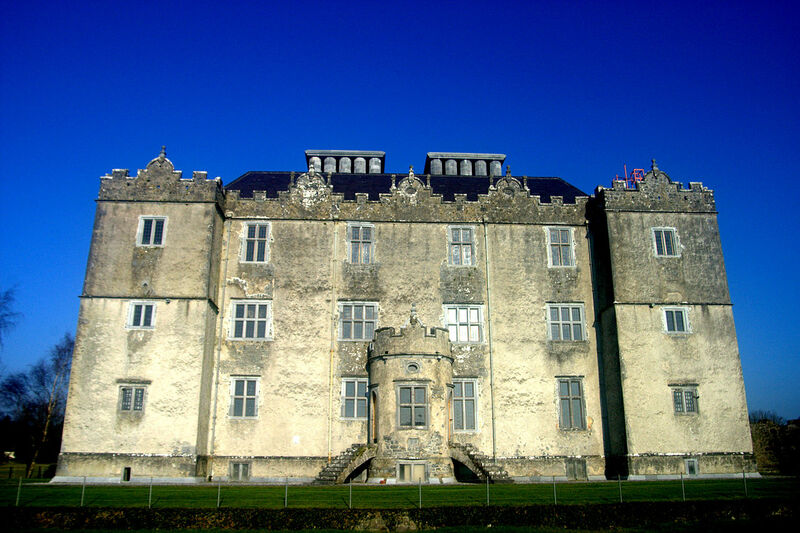 Portumna Castle and Demesne is located on the shores of Lough Derg on the River Shannon. Built by Richard de Burgo, it is a great example of early 17th Century Irish architecture. Clonmacnoise, an early Christian site on the banks of the River Shannon, was founded by St. Ciarán in the mid 6th Century. What remains on the site are the ruins of a cathedral, several churches, round towers and high crosses. The Athlone Castle which survives today dates from 1210 and was built for King John by John de Gray of Norwich. It was built to defend the crossing point of the River Shannon at Athlone.